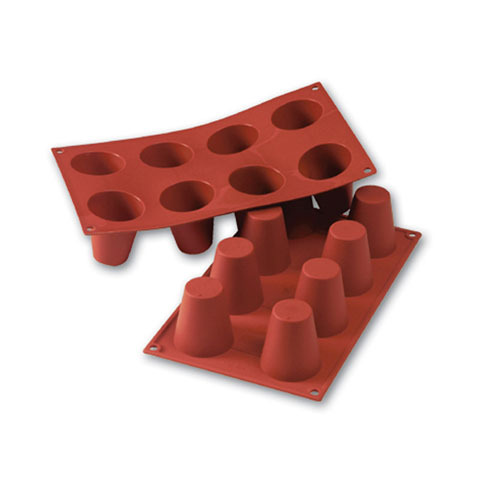 Baba Multi-Cavity Silicone Cake Molds feature eight baking cavities with 3-Ounce capacities. This silicone baking pan is suitable for sweet and savory recipes, though the shape is inspired by the traditional French pastry, Baba au Rhum. 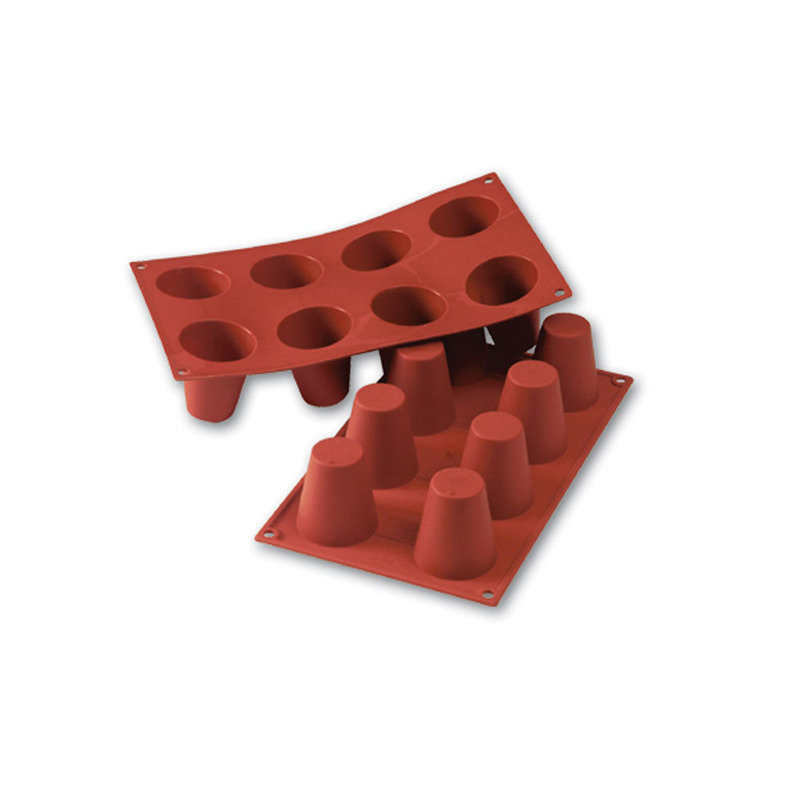 Silicone molds are designed to promote even heat distribution so cakes and breads cook evenly with a lovely golden brown finish. Silikomart products are made of food-grade liquid silicone, with a non-stick finish that releases even sticky foods with no added grease.